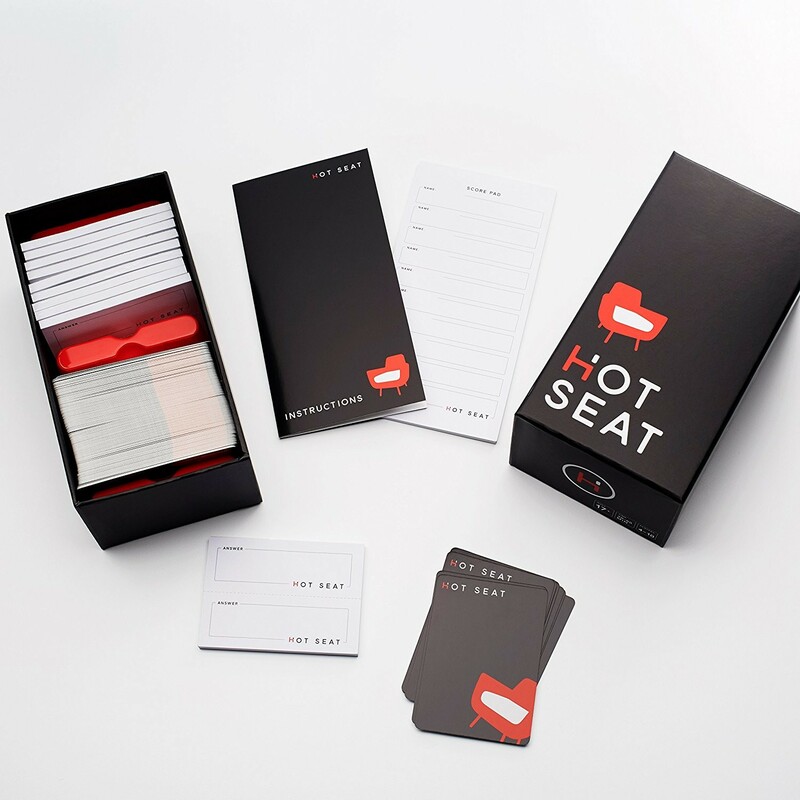 – DRAW The player in the Hot Seat draws 3 cards and reads them privately. They choose one card to play, one to give to another player (optional), and one to discard. 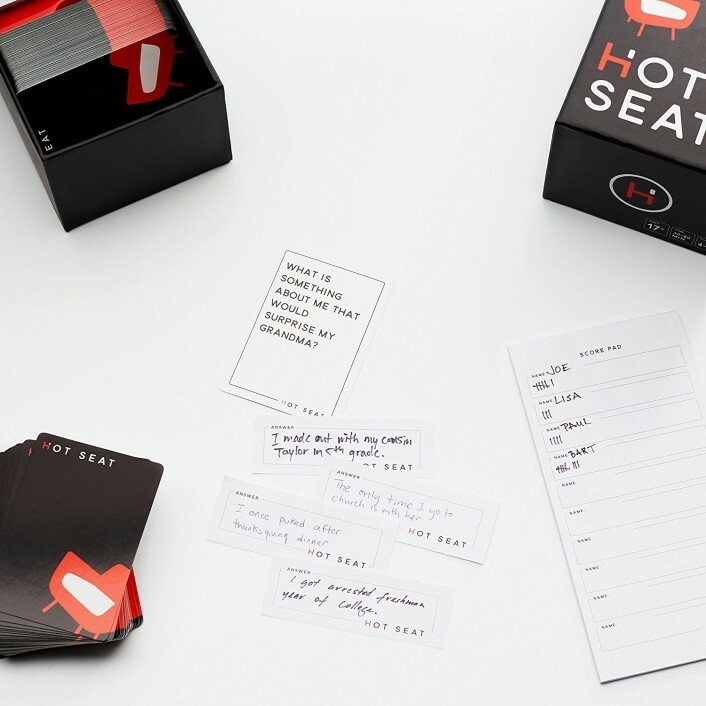 – ANSWER Everyone including the player in the Hot Seat writes an answer to the card in play on their answer pad from the perspective of the player in the Hot Seat. 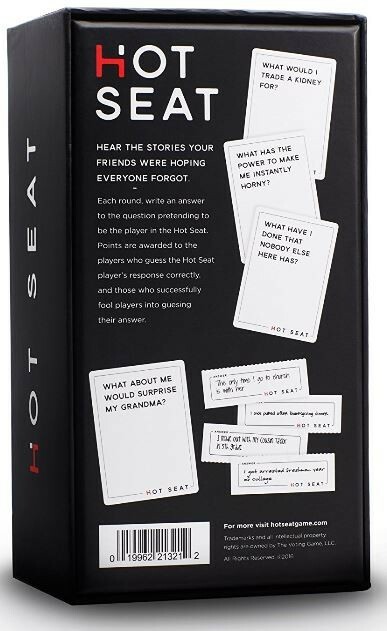 – READ The player in the Hot Seat collects the answers and reads all of them out loud. – GUESS Each player guesses which answer was written by the player in the Hot Seat. 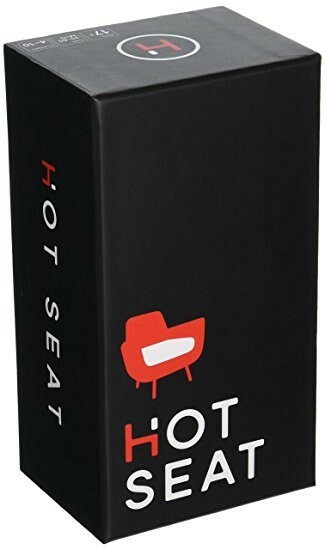 – REVEAL The player in the Hot Seat reveals which answer they wrote. – SCORE Points are tallied on the score sheet by the player in the Hot Seat. The player to their left is now in the Hot Seat. They draw the next three cards. – What is something about me that would surprise my Grandma? – What will God say to me right before sending me to Hell? – What will I do in my lifetime that no one else here will?